HIGH ACHIEVER: Bowen's Elliarna Mitchell has competed at the Lions Youth of the Year regional competition in Townsville. 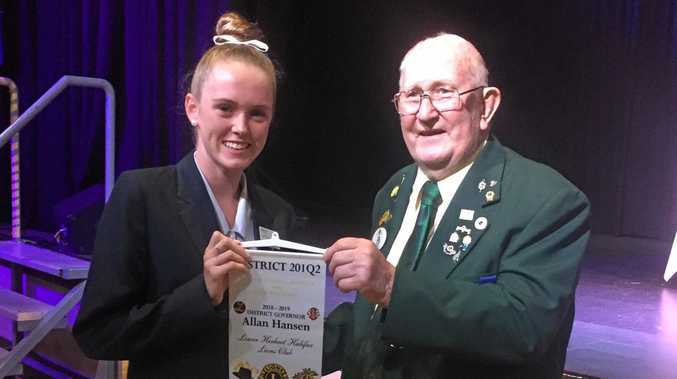 Bowen Lions Club's Youth of the Year winner Elliarna Mitchell has put her public speaking skills on display at the regional Youth of the Year competition in Townsville. The experience was a far cry from the norm for the 17-year-old track star, who went toe-to-toe with some of North Queensland's best academics. Elliarna said she enjoyed the challenge. "It was a great experience just to see the calibre of people," she said. "Everyone is at such a high standard, it was the best six in the whole region." Elliarna was the first speaker at the event, which saw participants deliver a speech as well as answer impromptu questions from the judges. Nothing was off limits either, with judges quizzing her on everything from politics to her plans after school. Despite brushing up on big issues like climate change to the wildly popular 'egg boy' beforehand, she said she found being quizzed on the political scene somewhat challenging. "They wanted to know my thoughts on Australia's parliamentary system, it was a tough one," she said. The Youth of the Year is an annual event facilitated by the Lions in conjunction with North Queensland high schools. 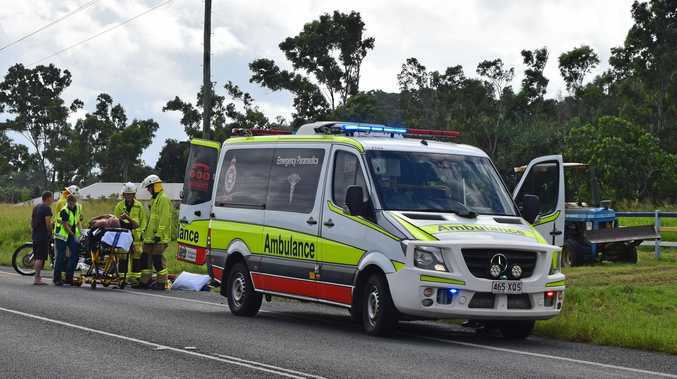 In what was her first time taking part in the program, Elliarna was named winner of the Bowen Youth of the Year, before taking out the zone competition in Proserpine. Although coming up short at the regional stage, she said she'd received mainly positive feedback. "I had no expectations, I didn't really know the standard of who I would be competing against so I just gave it my best," she said. Elliarna's mother Julie Mitchell was excited to see her daughter branch out her skills. "She's worked really hard and we are proud she's decided to give something else a go rather than just the athletics," she said.